J. Burton Eller, Jr., Managing Director of Burton Eller Associates in Washington, DC has been appointed Director of Legislative Affairs for the National Grange. 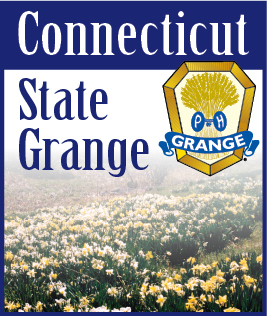 Eller will be responsible for implementing the Grange public policy and government affairs agenda in the nation’s capital while engaging grassroots Grange members in this process. He will represent the Grange before Congress, agencies of the Federal Government, coalitions, working groups, and other organizations. Another important responsibility of the Director will be to increase the organization’s influence and visibility at the national level and to serve as a reliable resource on rural America, agricultural policy and other issues important to Grange members. “We are pleased to have someone with Burton’s agricultural experience and policy savvy in Washington join our team,” said Grange President Ed Luttrell. “It is a pleasure to have him on our Grange team in Washington. Burton has been the head of two Washington offices, CEO of two associations and Deputy Under Secretary of Agriculture at USDA. His experiences with advocacy, coalition building, stakeholder management and executive leadership will certainly be valuable to our grassroots Grange mission”. Eller operates a farm in southwest Virginia that has been in his family since 1868.